We went away for Christmas last year so managed to avoid the whole cat in the Christmas tree thing. As Aggy is so fond of sitting on the top of doors, I just know she would take on the challenge of killing the tree like only a cat can. 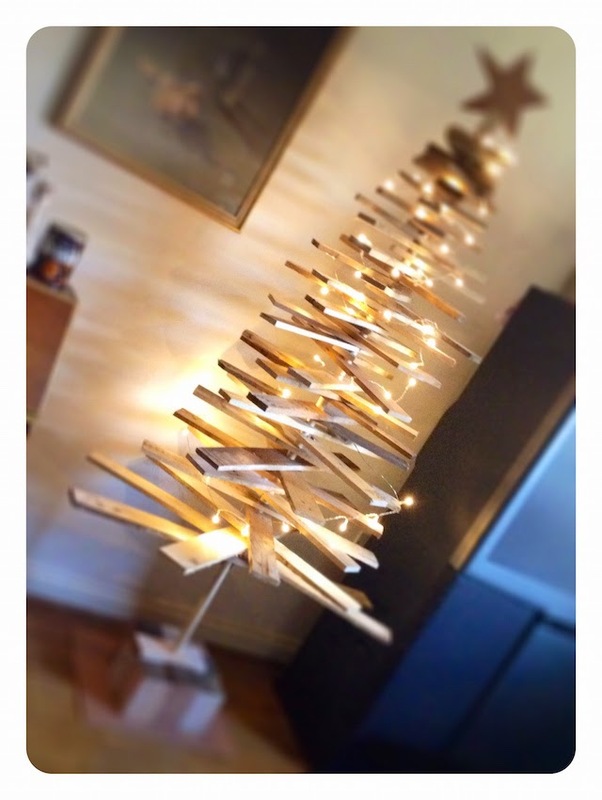 So I decided to think outside the box and make my own tree, without the temptation of baubles et al. I'm absolutely in love with it. What do you think?